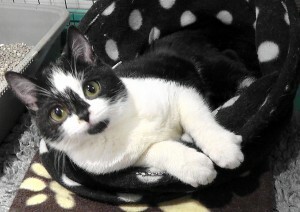 This miracle baby, who is now pretty as a picture, was handed into our vets as a lone kitten near death. Only around 8-10 weeks old, she was suffering with the most severe conjunctivitis and ‘cat flu’ infection any of us had ever seen (photos too graphic). Given little chance of surviving by experienced vets, the charity agreed to admit this weak and blind ball of fur and give her the best chance we could. Elsa, as she was named, was a little fighter! And how she ate :). Vet Zofia at Swanbridge also fought for her, along with all our volunteers. Two weeks later, after emergency fluids, courses of anti-biotics, specialised anti-virals and eye-drops every few hours, there was a notable improvement: the horrific swelling and inflammation around her eyes went down, and you could finally see the corneas, damaged by the chronic infection. We’d saved her life, but could we now save her sight? 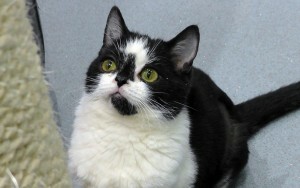 Only then did vet Zofia discover Elsa had a cleft palate, right at the back of her throat. And it was the aspiration of food through this gap which was causing the nasal contamination and eye infections. Changing Elsa’s food to dry kibble led to another great improvement in her well-being, as it minimized the ingestion of food into her airways. This youngster was still sneezing regularly with somewhat of a ‘productive’ catarrh problem. But, the clouding in her eyes gradually healed with 3 different types of eyedrops, and her sight was restored. How this little girl started playing pounce with her toys and enjoying life as any kitten should! Elsa was as fit as she could be and thriving with our love and care. The cleft palate will, however, always be present. As a result Elsa will continue to have regular vet checkups, to monitor the palate and her breathing and any other associated developmental and health conditions. 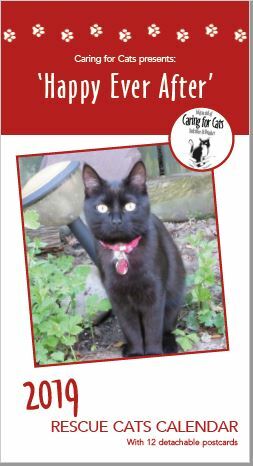 She has become our youngest longterm foster cat at only ~6 months, and is available to sponsor now. Elsa, playing in her favourite ‘tunnel’ toy!